The automotive industry faces many challenges, including increased global competition, the need for higher-performance vehicles, a reduction in costs and tighter environmental and safety requirements. The materials used in automotive engineering play key roles in overcoming these issues: ultimately lighter materials mean lighter vehicles and lower emissions. Composites are being used increasingly in the automotive industry due to their strength, quality and light weight. 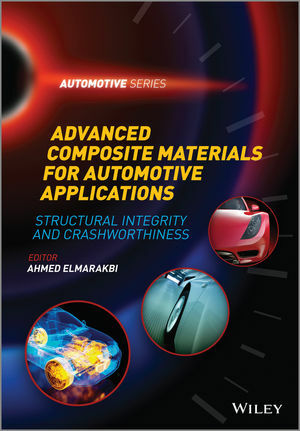 Advanced Composite Materials for Automotive Applications: Structural Integrity and Crashworthiness provides a comprehensive explanation of how advanced composite materials, including FRPs, reinforced thermoplastics, carbon-based composites and many others, are designed, processed and utilized in vehicles. It includes technical explanations of composite materials in vehicle design and analysis and covers all phases of composite design, modelling, testing and failure analysis. It also sheds light on the performance of existing materials including carbon composites and future developments in automotive material technology which work towards reducing the weight of the vehicle structure. Advanced Composite Materials for Automotive Applications: Structural Integrity and Crashworthiness is a comprehensive reference for those working with composite materials in both academia and industry, and is also a useful source of information for those considering using composites in automotive applications in the future.